Amazing light welcomes the morning in Port Aransas, Texas. 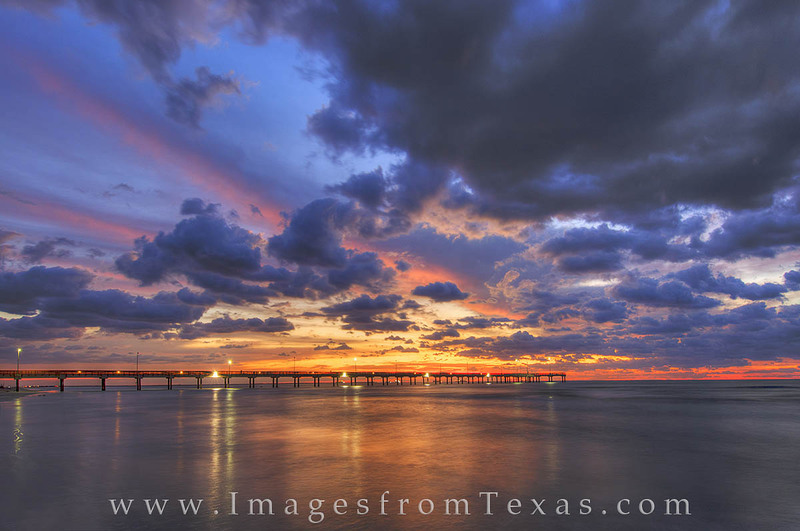 Taken along the beach near Caldwell Pier, this photograph shows a glorious sunrise over the Texas gulf coast area. This is one of my favorite locations to photograph along the sandy beaches, and morning colors like this are special. Photo © copyright by Rob Greebon.